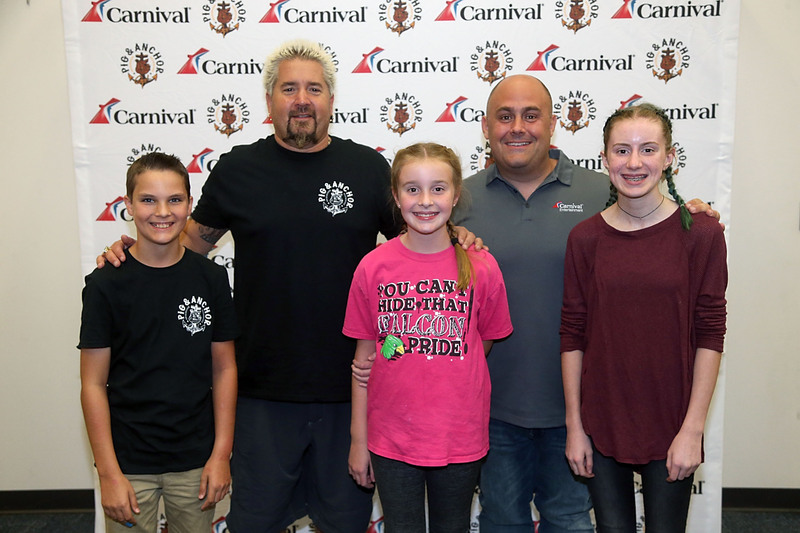 Three kids from the Texas 4H Club were awarded free cruises during an event at the State Fair of Texas hosted by Guy Fieri announcing his new Guy’s Pig & Anchor Bar-B-Que Smokehouse|Brewhouse restaurant that will be featured aboard the new Carnival Horizon when it debuts next spring. 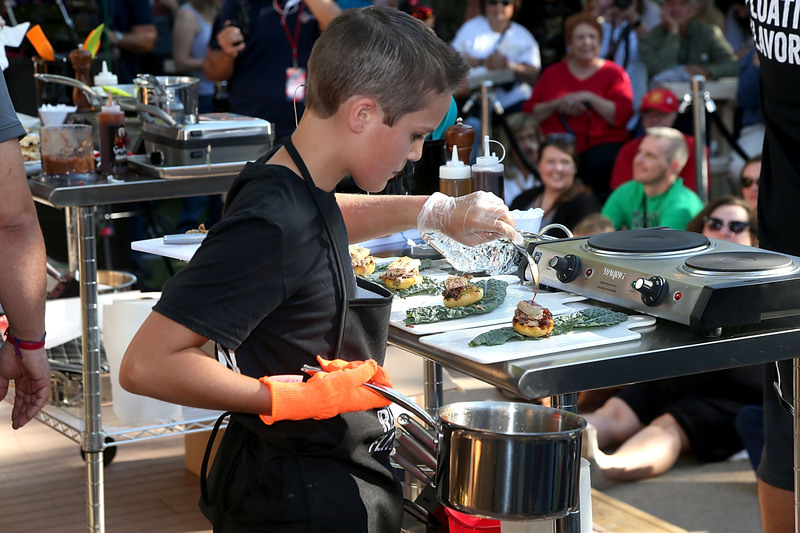 The three finalists – Harper Burt, Sam Penn and Charlotte Murray – were tasked to come up with unique barbecue recipes inspired by Pig & Anchor that were judged by a panel of barbecue experts. Harper was named the winner with Sam and Charlotte the runners up. 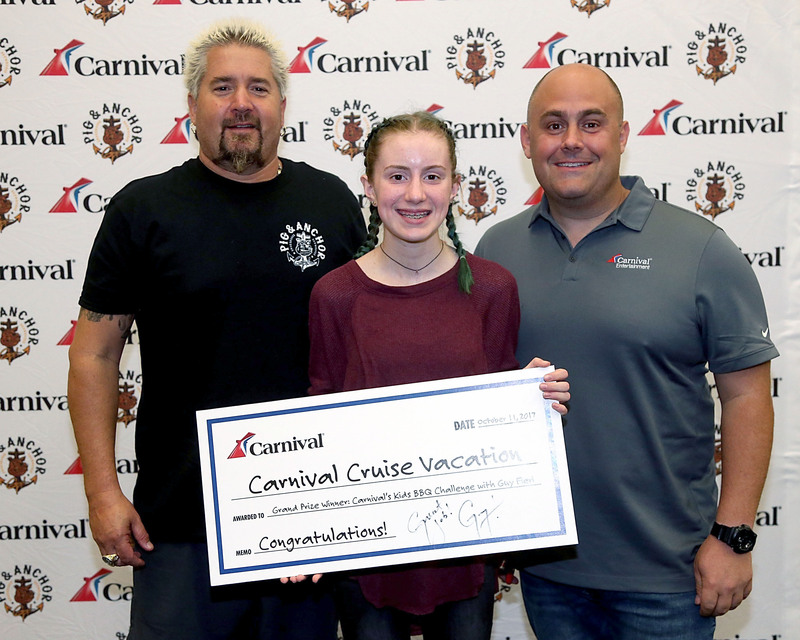 All three children received a free Carnival cruise departing from the Port of Galveston for their highly creative and imaginative entries. 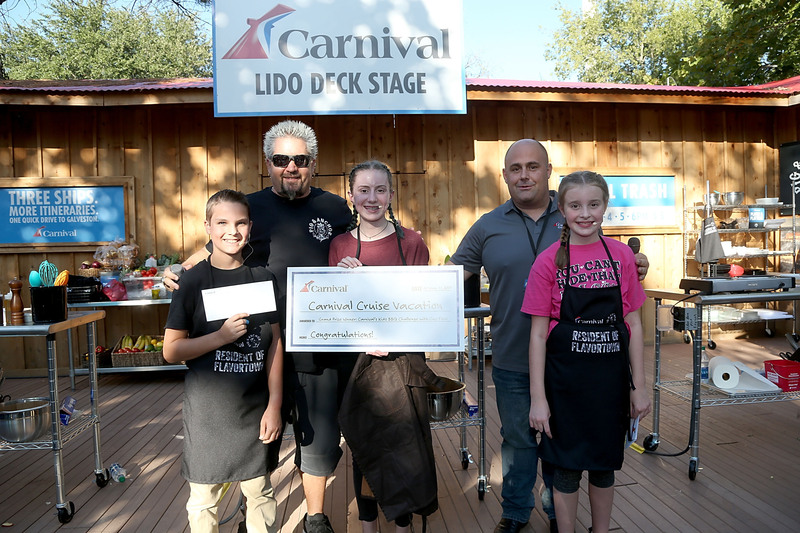 Carnival also made a $20,000 donation to the 4H Club of Texas in support of its mission of engaging youth to reach their fullest potential while advancing the field of youth development. 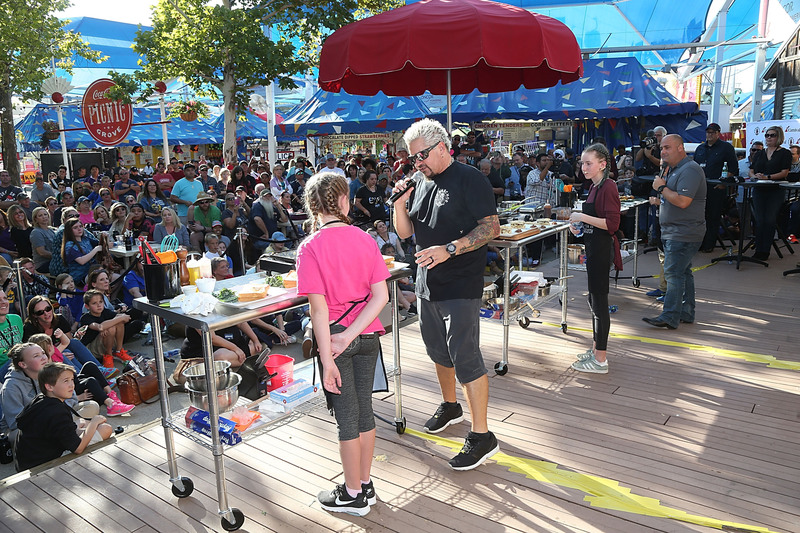 Hosted by Carnival Cruise Director Frankie Portero, the event also served as an opportunity for Fieri to announce a brand new full-service barbecue restaurant aboard the line’s newest ship, Carnival Horizon, which is set to debut in Europe April 2, 2018. 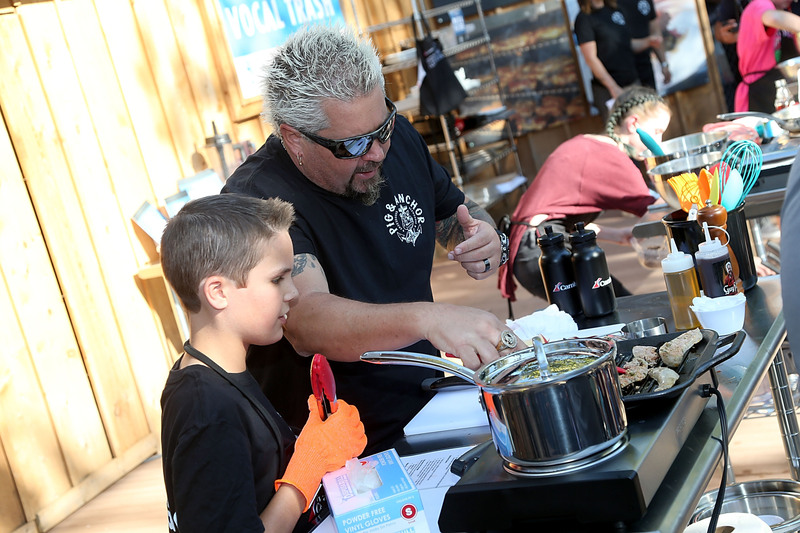 An expansion of Fieri’s casual barbecue eateries on several Carnival ships, Guy’s Pig & Anchor Bar-B-Que Smokehouse|Brewhouse combines the best of both worlds: authentic, down-home smoked-on-board barbecue and traditional sides created by the renowned chef, along with a selection of distinctive craft beers brewed on board at a brewery located within the restaurant. 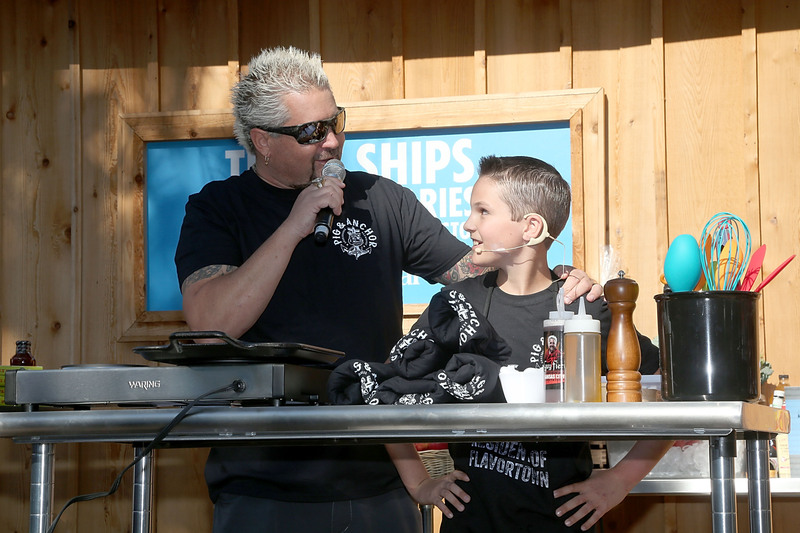 Fieri – a member of the American Royal National Barbecue Hall of Fame – has partnered with Carnival since 2011 with his popular Guy’s Burger Joints featured on 19 ships. Guy’s Pig & Anchor Bar-B-Que Smokehouse|Brewhouse will offer such BBQ favorites as brisket custom smoked for 12 hours, Memphis-style baby back ribs, dry-rubbed and grill-finished chicken, pulled pork, and cedar-smoked salmon with an apricot glaze, all cooked “low and slow” using Fieri’s signature rubs and spices. 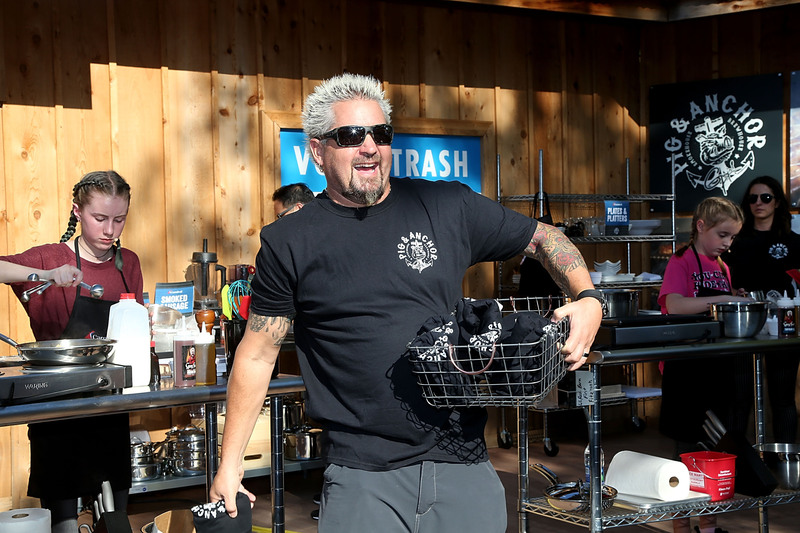 Other tempting offerings include Dragon Chili Cheese Fries featuring smoked beef brisket, cheddar cheese, onions and jalapenos; Trash Can Nachos topped with pulled pork, Bourbon Brown Sugar BBQ sauce and melted cheese; and The Smokehouse Melt, with pulled pork, sliced brisket, double smoked pork belly bacon, two slices of cheddar cheese, homemade pickles and donkey sauce, along with a host of tantalizing side dishes. A selection of refreshing craft beers created by Carnival’s award-winning beverage team, which includes Colin Presby, the only brew master in the North American cruise industry, are being developed and will be announced at a later date. 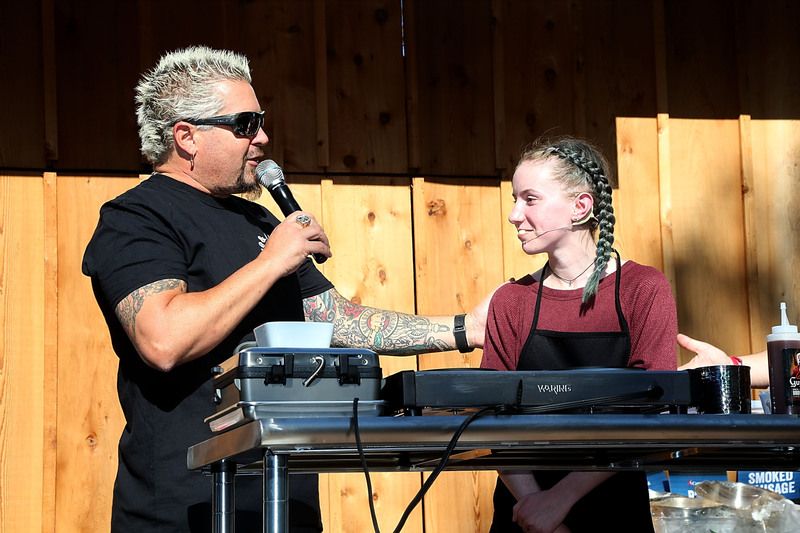 The new 138-seat BBQ venue will be offer indoor and outdoor seating and design elements like ceiling tiles made of galvanized siding, red brick walls, hardwood floors and booth and high-top seating with Fieri’s signature FLAVORTOWN catch phrase illuminating the full-service bar. Guy’s Pig & Anchor Bar-B-Que Smokehouse|Brewhouse will offer a free-of-charge self-service BBQ lunch buffet from noon to 2:30 p.m. on embarkation day and sea days.